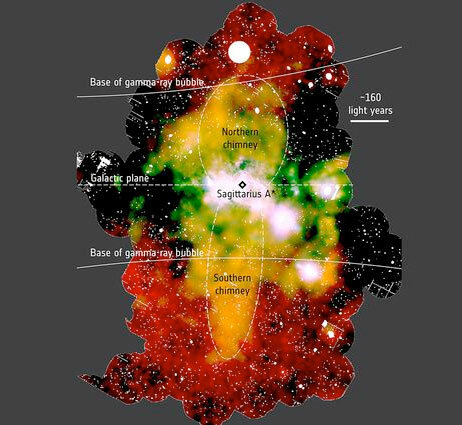 (Nanowerk News) The center of our galaxy is a frenzy of activity. A behemoth black hole -- 4 million times as massive as the sun -- blasts out energy as it chows down on interstellar detritus while neighboring stars burst to life and subsequently explode. Mark Morris, a UCLA professor of astronomy and astrophysics, contributed to the research, which has been published in the journal Nature ("An X-ray chimney extending hundreds of parsecs above and below the Galactic Centre").